The new research program, part of a partnership with one of Chicago’s zoos, received a $350,000 grant from a private organization, the Arcus Foundation. The partnership was engineered by Dr. Stephen Ross, an animal behaviorist who is both the chair of the Chimp Haven board and the Director of the Lester E. Fisher Center for the Study and Conservation of Apes, at Lincoln Park Zoo’s (LPZ) Regenstein Center for African Apes, as well as the Chair of the chimpanzee Species Survival Plan, a group whose primary role is population management, coordinating breeding plans and movement of chimpanzees between the 34 member zoos in the US. As we’ve noted previously, Ross was also a member of the NIH Working Group on the Use of Chimpanzees in NIH-Supported Research that NIH charged in 2012 “to provide advice on implementing recommendations made by the Institute of Medicine (IOM) in its 2011 report, Chimpanzees in Biomedical and Behavioral Research: Assessing the Necessity.” The conclusions of the working group were associated with phasing out 22 of 30 NIH-funded research projects and with decisions to move chimpanzees to the federal sanctuary. As reported in 2013 by Science: “The working group concluded in January 2013 that many of NIH’s 30 projects involving chimpanzee research or support should end. …NIH officials said that 310 research chimpanzees will move to the national sanctuary at Chimp Haven, in Keithville, Louisiana, or other sanctuaries over the next few years. … NIH is also working with Congress to lift a $30 million cap imposed in 2000 in spending on the national sanctuary that the agency will reach in the next few months” (Kaiser, 6/26/13). According to the Chimp Haven site: “After service on the board from 2009-2012, he [Ross] was re-elected in 2013 and in 2014, stepping into the role of board chair.” The NIH Working Group (WG) was assembled and charged in February 2012 and gave its final report nearly a year later, in January 2013. The membership roster lists Ross’ affiliation as Lincoln Park Zoo. The new funding of the zoo-sanctuary partnership that was recently announced appears to be aimed at an expansion of behavioral and observational research at Chimp Haven. The future plans appear to go beyond ongoing studies of aspects of animal husbandry and care however, as is indicated in comments by Ross and by the director of the sanctuary, Cathy Spraetz. 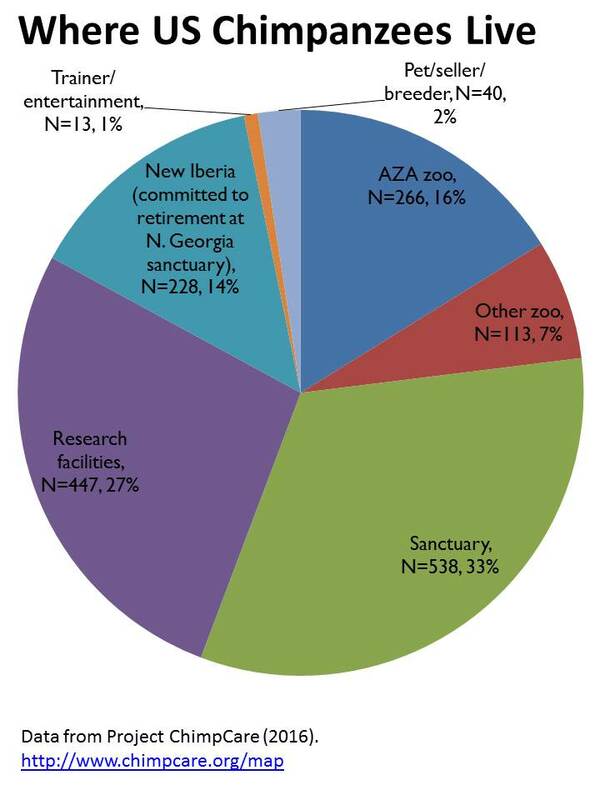 What is particularly surprising about the article and accompanying comments are those concerning the sanctuary’s desire to recruit scientists (and their research funding) in order to expand the sanctuary’s research capacity. It appears that Ross’ hope refers to those NIH-funded researchers who lost their funding for peer-reviewed scientific studies as a result of the series of decisions made on the basis of recommendations from a group of which Ross was part, the NIH Working Group on the Use of Chimpanzees in NIH-Supported Research. It is also true that the decisions and events over the past five years have resulted in movement of chimpanzees from dedicated research facilities to various sanctuaries and at least one zoo (for review see Bennett & Panicker, 2016). In turn, the recommendations, decisions, and events—including movement of animals to Chimp Haven—have created researchers “who have lost their lab chimps.” Perhaps it is these scientists that others hope to entice to either zoos or sanctuaries in order to pursue studies of chimpanzees. What is not clear is how Chimp Haven will create an equivalent setting that permits these scientists to conduct research that merits support. What kind of research will Chimp Haven perform? The current research discussed in Thursday’s Science article about the new sanctuary-zoo partnership addresses not only questions relevant to animal care in a sanctuary setting, but also leverages the larger Chimp Haven population to answer questions relevant to animal care in zoo settings. For example, a current postdoctoral research fellow supported by the LPZ partnership is examining the effect of human visitors viewing the chimpanzees during the opportunities Chimp Haven offers for the public to visit and watch the animals. 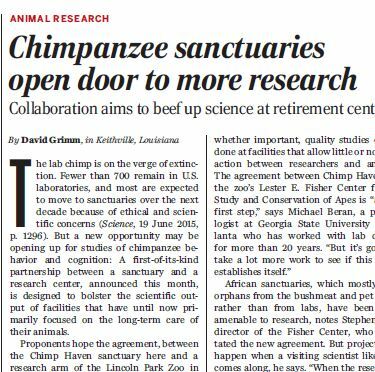 It is also clear that Chimp Haven provides animal resources and research opportunities that benefit zoo researchers and zoos. Primary among them, the number of chimpanzees at the sanctuary (204) far exceeds any single zoo population. 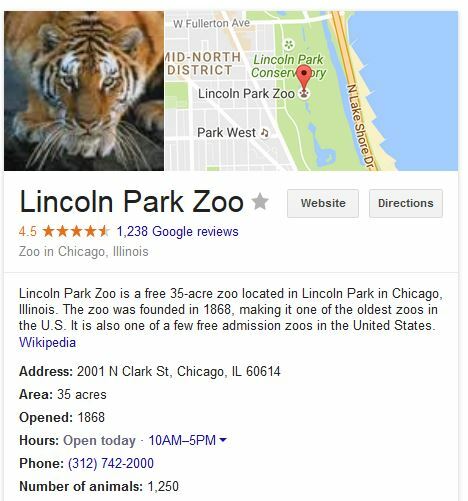 By contrast, Lincoln Park Zoo, located in in urban Chicago, houses 11 chimpanzees (Project ChimpCare, 2016). Thus, the sanctuary offers a resource that zoos cannot for studies that are adequately powered to test scientific hypotheses. Furthermore, while researchers in zoo settings must contend with operating conditions that surround the zoo’s need to attract visitors, as well as the visitors themselves, researchers in a sanctuary appear to have relative freedom from many constraints. In addition, given that NIH and federal sources provide millions of dollars in funding to support the animals’ care, the cost to do research could be much lower than in other settings that require fees and per day costs in order to conduct any type of research with the animals. Finally, it is unclear what the review process is for research at the sanctuary and how it compares to the review process for research proposals to NIH, with each receiving multiple levels of expert scientific peer review in a highly competitive process. Illustrated distribution of chimpanzees in the US. Sanctuaries and research facilities have breeding bans. Thus, when coupled with the age of the current chimpanzee population, the overwhelming majority of chimpanzees in sanctuaries and retired from research will be gone within a couple of decades. Those animals held and bred by zoos would then comprise the great majority of captive US chimpanzees. Should sanctuaries also be research centers? It is no surprise that many within the scientific community agree with those who believe that research with chimpanzees should continue. Scientists, along with others, have written about the ongoing need and value of continuing research with chimpanzees (Bennett, Beran, Brosnan, Hopkins, Menzel, & Washburn, 2015; Bennett, 2015; Bennett & Panicker, 2016; Latzman & Hopkins, 2016). As with all research, scientific objectives should be balanced with consideration of animal health and well-being. This consideration is not unique to research with chimpanzees. It is foundational to the US system of ethical review and conduct of nonhuman animal research and occurs at many levels, including the scientific review of proposals for research, Institutional Animal Care and Use Committee (IACUC) review and monitoring of research, and external oversight by federal agencies. Whether chimpanzee research is justified and valuable is one question. It is, however, a different question than whether research should be conducted with chimpanzees retired by NIH from research and transferred to a sanctuary designated with the sole purpose of providing the animals with lifetime care. Retiring the animals to sanctuaries, or moving them to zoos, is the same path taken by other countries that ended biomedical research with apes. Moving the animals to sanctuaries is often viewed as an action needed to address a significant part of public moral responsibility to captive apes. Thus, for some, sanctuaries are defined as places in which the animals’ lives are managed with as minimal intrusion by humans as is possible without compromising the animals’ care. Furthermore, for some, the very meaning of sanctuary is assumed to preclude the use of the animals as instruments to obtain goals—including their use in research, but also in ways that appear to be exploitative of the animals in the interest of fund-raising, or to serve human needs for entertainment or education. It may have been with this in mind that Molly Polidoroff, Executive Director of Save the Chimps, the largest chimpanzee sanctuary in the US and one entirely reliant on private donations, expressed reservations about performing research with animals living in the sanctuary. 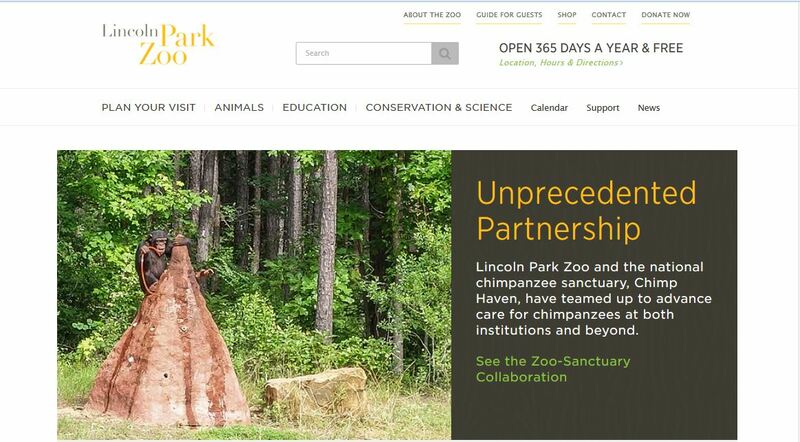 Whether other sanctuaries will follow the lead of the Chimp Haven and Lincoln Park Zoo remains to be seen. 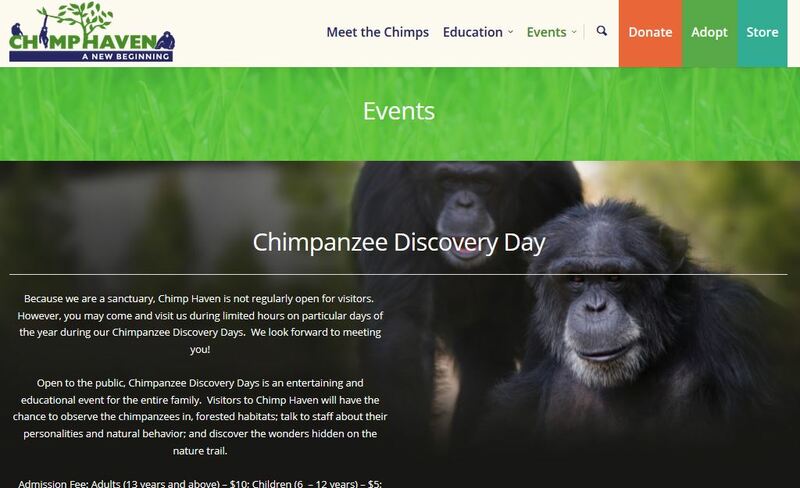 Of course whether Chimp Haven is truly open and welcoming to the range of research that is allowable in the federal sanctuary system also remains to be seen. Update: h/t to a reader who shared this upcoming conference presentation at the joint meeting of the American Society of Primatologists and International Society of Primatologists, hosted at Lincoln Park Zoo. The abstract provides further detail about the sanctuary’s research program and rationale. THE FUTURE OF COLLABORATIVE STUDIES AT CHIMP HAVEN, INC.
113600 Chimpanzee Place, Keithville, LA 71047, USA, 2Chimp Haven, Inc. The retirement of all federally owned chimpanzees (Pan troglodytes) from biomedical research and their recent reclassification from threatened to endangered status have led to concerns about the future of behavioral research on the species. 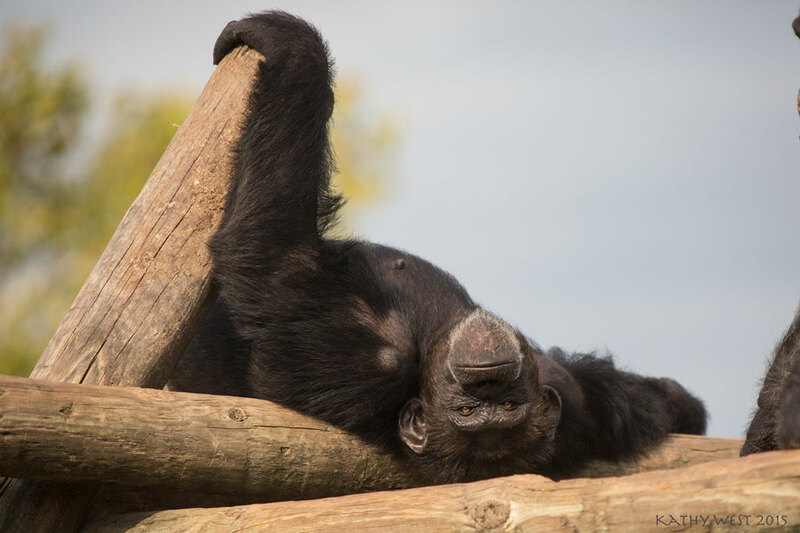 Chimp Haven, which serves as the National Chimpanzee Sanctuary, provides options for researchers hoping to continue non-invasive behavioral research. 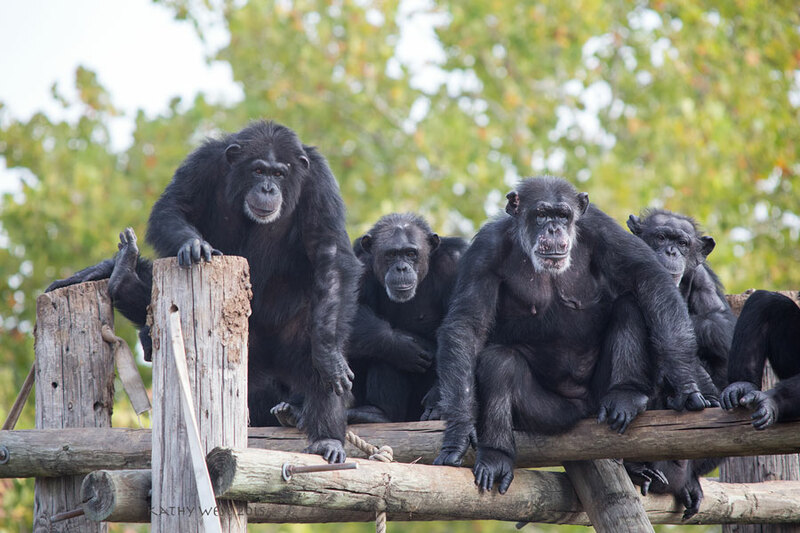 Chimp Haven is the only sanctuary bound by the Standards of Care for Chimpanzees which are federal law. These laws cover the types of studies that may be conducted at the sanctuary and designate the members of our Institutional Animal Care and Use Committee. Since 2005, 20 protocols have passed through the committee, with an 80 percent approval rate. We currently have 4 active and 2 proposed protocols, and 8 biomaterials distribution agreements. With recent decisions ensuring the retirement of additional chimpanzees, sanctuaries may provide an optimal place for behavioral research with the potential for large sample sizes, a variety of enclosures, and on-site support. A future goal for the sanctuary community is to become self-sustaining. In order to do this, sanctuaries must explore different options including fees for researchers and visiting scientists who hope to continue to study the chimpanzees. This type of collaboration will become more important in the future to ensure that we learn all we can about the animals in our care. Posted on August 3, 2016 August 4, 2016 by EditorPosted in News, Science NewsTagged animal research, ape, Chimp Haven, Chimpanzee, Lincoln Park Zoo, National Institutes of Health, NCCC, NIH, NIH Working Group on the Use of Chimpanzees in NIH-Supported Research, sanctuary, Stephen Ross, zoo. Jenny, your argument seems to be that the federal sanctuary should not partner with the zoo and conduct research because you believe that sanctuary precludes the animals being used as instruments for goals. That exact point was already made in the post. And presumably you are opposed to the LPZ-CH partnership, as would be others who share the view that sanctuary and retirement are inherently incompatible with continued research of any form. That is one of the basic questions raised here; it remains for the sanctuary leadership to answer. These are human questions, however, The justifications and rationale are likely irrelevant to the chimpanzees– whether they play with a puzzle for research or for enrichment doesn’t matter. They have a puzzle, they choose to play with it. So in one view, the rationale and the words about sanctuary are really just about the humans who feel some kind of positive from the idea of “sanctuary”, and not really about the reality for the animals. Ultimately, these apes’ lives are controlled by humans, whether they live in zoo, sanctuary, or research settings. So the question is how to provide them with the best care and also how to value their lives. Conducting research is compatible with both high quality care and with truly valuing what the animal contribute to new knowledge that benefits individuals, the species, and the future. I have heard all these justifications before. Now, chimpanzees are being “retired” to “Sanctuaries”, their inherent value and well-being deemed greater than the results of research and often suffering. Retirement and Sanctuary. Google the definitions. Jenny, thank you for your comment – it does capture what seems to be a critical point for many people – which is that the intention, or purpose, of the activity is what matters. From this perspective, do you view research centers, zoos, and other places with missions that serve human interests similarly? From the perspective of a chimpanzee there is probably no difference between receiving a puzzle for enrichment or receiving a puzzle for scientific study. It is also true though that the scientific study can provide discoveries that benefit the chimpanzees themselves. For example, our knowledge about chimpanzees’ cognitive capacities is due – in large part – to scientific studies. At the same time, animal care practices and policies, including those about enrichment, benefit from studies that produce evidence about what is best for the animals’ health and well-being. That is part of the balance of science and animal welfare that the research community, the public, and others consider in decisions. That said, concerns have also been raised about the deaths and welfare of animals that are forced to undergo transfer to the sanctuary (see previous post (https://speakingofresearch.com/2016/07/14/do-politics-trump-chimpanzee-well-being-questions-raised-about-deaths-of-us-research-chimpanzees-at-federally-funded-sanctuary/). If it turns out to be the case that the outcomes for chimpanzee health and welfare are not well served by transfer to sanctuary, then the question becomes why they should be transferred rather than remaining in a situation that is better for them, or that is a lower risk. that’s exploitation. One is in the best interest of the chimp and one is in the best interest of the researcher. There is a big difference. Jenny, I am curious, do you level the same criticisms against developmental psychologists and educators who provide learning games to children to see how and when they learn? Do you level the same criticisms against school administrators who use standardized tests with children? Those people all are paid to do the research, and care about the data they collect. You seem to see this as “only one side can win” when it comes to animals, but this is clearly not something that most reasonable people conclude when one looks at research with children. Would you call child experimental psychologists “exploiters” of children? It’s a ‘scientific fact’ that these researchers have also lost their salaries in respect to chimp experimentation and lab incarceration. Scientists tend to hide moral responsibility behind facts. At some point (now) a Research Scientist needs to look beyond scientific fact and salary to conscientiously realize that scientific exploitation of chimpanzees needs to be terminated. We now owe it to the chimps to retire them free of scientific manipulation. Jenny, Giving a chimp a puzzle to play with is unethical exploitation in your eyes?